Melbourne Conservatorium of Music Early Voices perform Michael Haydn’s Missa Tempore Quadragesimae and WA Mozart’s Vespers with students, staff, and friends of the Early Music Studio on period instruments. These two magnificent settings were intended for performance at religious rites at Salzburg cathedral during Mozart and Haydn’s tenure there and are rarely performed in their entirety with instruments of the period. This performance features Conservatorium brass students performing on the new Conservatorium sackbuts. Sung in period diction and directed by Erin Helyard. 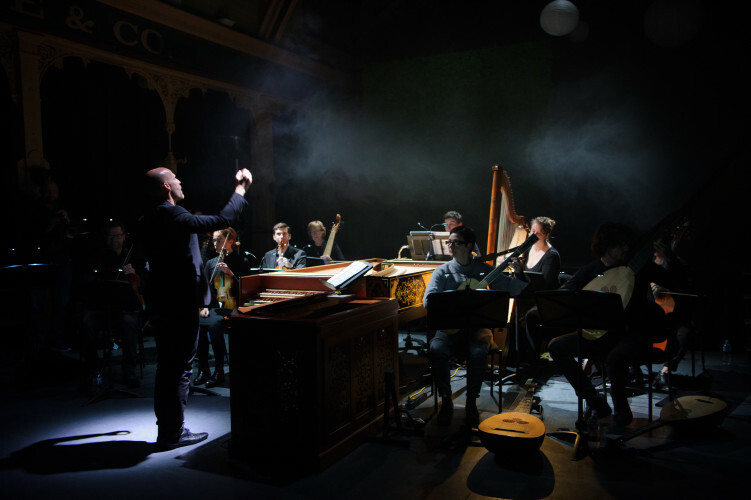 Image: Erin Helyard conducts The Tale of Orpheus (2017), produced by the Melbourne Conservatorium of Music in association with the Australian Research Council’s Centre of Excellence for the History of Emotions. By Sarah Walker.